I had been living in Odessa Texas for about 2 years. I had a very small, comfortable apartment. Every so often I would notice things out of the corner of my eye. Nothing that scared me or my dog, Chloe. One night , everything changed. I had just climbed into bed, Chloe had snuggled under the covers. Ready for sleep. Out of the blue I heard a raspy man’s voice. He said “Hey Lady” There was nobody home but us. I told a neighbor about it. He started to tell me a story. About 10 years before I moved in, there had been a couple in the apartment. The man had recently gotten out of prison, he was on parole. He and his girlfriend had an awful fight. He was so angry that he’d broken all the windows in her car. Before any one called the police he killed himself. He borrowed a shot gun. It happened in my bedroom. He was afraid that if the police came, he’d be going back to prison. I couldn’t believe that no one had told me about this. His name was Eddie Mack. In a bizarre coincidence, I moved home to Massachusetts. Met a man on a dating site. I started to tell him my experience he said, “I knew Eddie, He was a psychopath”. He knew that he’d killed himself but didn’t realize it was in Odessa, in my bedroom. 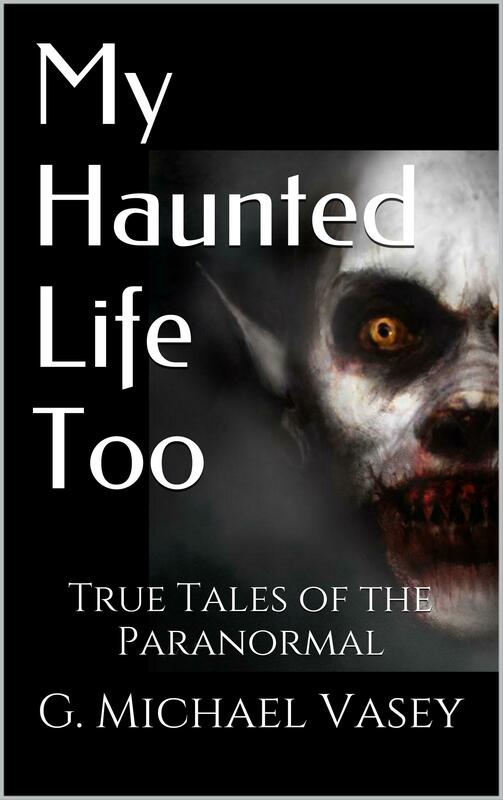 Submitted by Joan Stoller who wins a free audio book version of True Tales of Haunted Places for her submission.